In what could prove to be his most important book yet, the BGCO’s Prayer and Spiritual Awakening Specialist, Gregory Reed Frizzell, has issued a challenge that could be transformational for Oklahoma and the entire country. 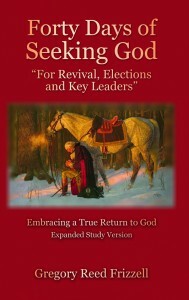 Called Forty Days of Seeking God: For Revival, Elections and Key Leaders, the new release (available for order at bgco.org) delineates Sept. 23-Nov. 4 as a 40-day period of intense prayer, fasting and repentance before God. baptistmessenger.com/insight), Frizzell underscored some of the rampant social ills and sins in society today. “If the American Church could plan and program our way to restoration, we would have done it by now,” he said. Frizzell sees prayer as our best and only hope. 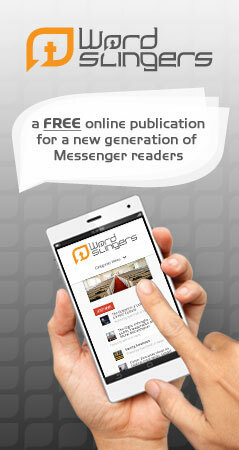 The book is based on the Scriptures and has a very practical format. Each day challenges the reader to go beyond top-of-the-mind praying; instead Frizzell calls us to go deep with the Father. In Forty Days of Seeking God, Frizzell reminds us of many key points. Perhaps most important is that we are calling on God to act, to do something we cannot make happen on our own accord. When asked why he chose 40 days, Frizzell called to mind many moments in Scripture in which the number 40 was significant. Think of Jesus’ time of fasting and prayer in the desert. Practical, biblical, challenging; Frizzell’s new book, Forty Days of Seeking God, is certainly for every conscientious believer today who, concerned by the sin in the land and their own heart, want to react in a good and godly way.